When it comes to idle reduction, commitment to cleaner air can come from many sources. Sunday drivers, heavy commuters and professional truckers all play a role in helping to avoid the environmental and health hazards of idling. But with plenty of incentives for drivers of every type to turn their engines off whenever possible, it may just be pedestrians that play the biggest role in motivating change. Most people are aware that vehicle emissions pollute the air, but idling amplifies the risk even more. When cars, trucks, and bus engines run as they remain parked, the impact to health, environment and engine are much worse than with driving. Since the solution to this important issue is relatively simple—to turn the engine off—focus group testing was conducted to reveal exactly why drivers idle, and what would make them stop. The results were not entirely unpredictable. Idling for more than five minutes in Maryland is against the law. Fines can be up to $500. But that doesn’t motivate most drivers to turn their engines off. Idling wastes fuel and damages engines—more so than driving. In fact, two minutes of idling wastes about the same amount of fuel as one mile of driving. It leaves residue on spark plugs that increases the fuel consumption of the engine and reduces a vehicle’s life span. Nationwide, it wastes about 6 billion gallons of fuel each year. But that doesn’t motivate most drivers to turn their engines off. Idling contributes to the buildup of nitrogen in the Chesapeake Bay. The emissions caused by idling collect in the atmosphere and contaminate waterways that suffocate marine life and impact Maryland’s ecosystem. Each year, idling accounts for about the same amount of CO2 emissions as 2-1/2 coal-fired power plants. But that doesn’t motivate most drivers to turn their engines off. Idling contains pollutants that can cause cancer, birth defects and other serious illnesses. In one minute, it exposes those in and around an idling vehicle to more carbon monoxide than three packs of cigarettes. And children are at an even higher risk than adults from the hazards contained in exhaust fumes. THIS is what motivates many drivers to turn their engines off. In November 2017, the Maryland Department of the Environment launched Idle Free MD to promote the many benefits of idle reduction in Maryland. 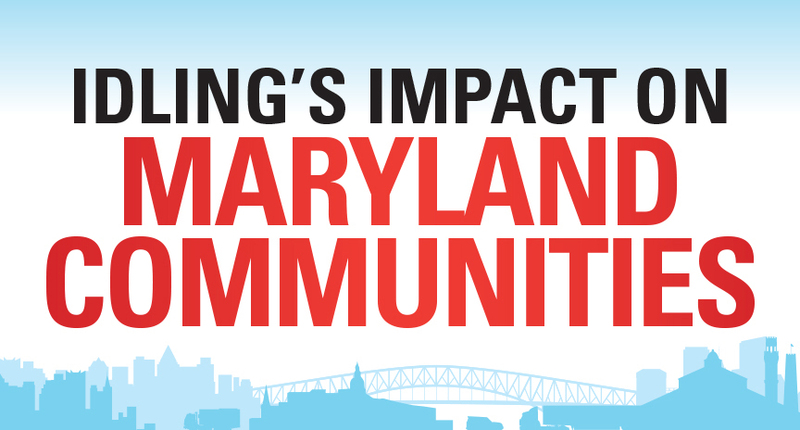 With participation from the trucking industry and support from the Maryland State Department of Education, real change in idling behavior may just boil down to the same social tolerance issues that motivates impaired driving and child protective seat programs. Most drivers are not ok with behavior that risks the health and welfare of others. Especially children. For more information, see our campaign case study and visit maryland.gov/idlefreeMD to download material and sign up for program alerts. Signup to receive Inspired, our monthly newsletter on marketing news, statistics, and resources you can use. Your information will never be shared, you will never be spammed, and you can opt out at any time. Don't miss your opportunity to be Inspired!